Astra Jigsaw Art Edition is a relaxing jigsaw puzzle game including 100+ puzzles. Intricate pieces are shaped after the fashion of antique jigsaw puzzles. You are able to change the number of pieces, to choose one of 4 shape styles, the most interesting of which is the Figure style. Rotation of pieces can be on or off as well as the picture frame. You can arrange pieces in two main windows and four pockets. Block Puzzle is a easy and fun puzzle game loved by many users.A classic block puzzles game of jewel blocks where you can check your puzzle solving skills. Train your brain, sharp your mind and is refreshment with fun. Block Puzzle is a easy and fun puzzle game loved by many users.A classic block puzzles game of jewel blocks where you can check your puzzle solving skills. Train your brain, sharp your mind and is refreshment with fun.The game has been upgraded. Record your highest score for each level. New additions to compete with global players. Record your every peak moment. Of course all of this is confidential. It's also convenient for you to share. 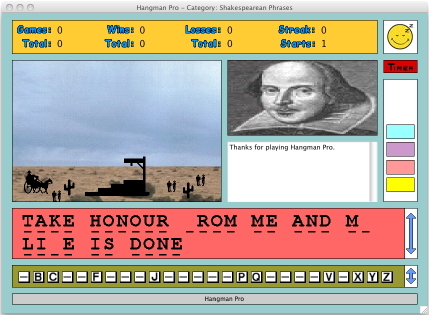 Hangman Bible is a religious take on the classic hangman word-guessing game. It features colorful, non-violent graphics, digitized sounds, and word categories such as Apostles, Bible Stories, Books of the Old Testament, Books of the New Testament, Christmas, Jewish Months, Popes, Prophets in the Koran, Prophets in the Old Testament, Religious Words and Phrases, Sacraments, Saints and Women in the Bible. Place your bombs, start the simulation and blast your way through over 100 challenging levels in this unique logic puzzle game! 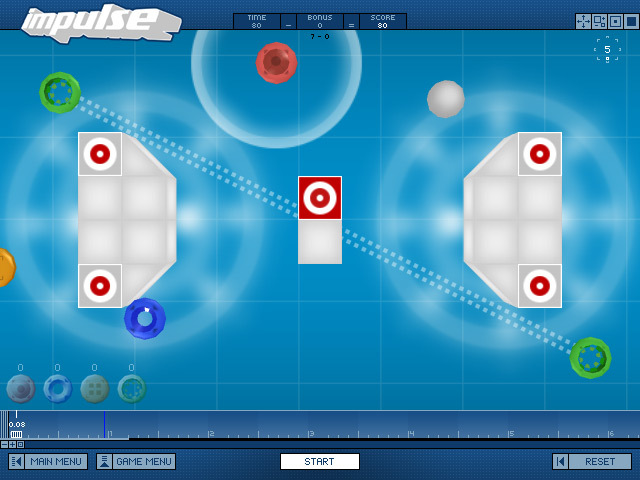 Impulse has a simple game concept: the ball must hit the goal object. Different bombs, obstacles, special elements and force fields provide varied levels. The interactive timeline at the bottom of the screen lets you control the time and guarantees an original gameplay. Jigsaws Galore is the ultimate jigsaw puzzle game. 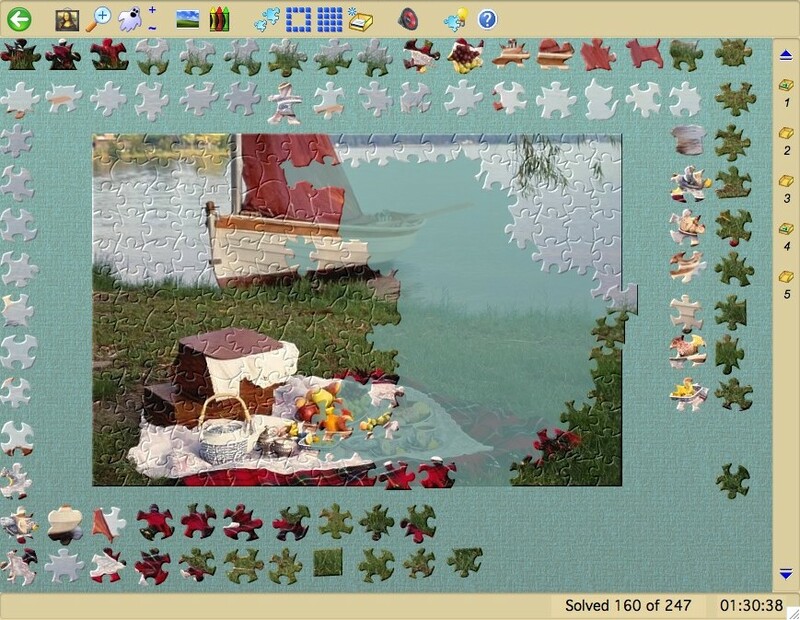 Play the jigsaws included or create your own from your photos and send to friends. A great way to share photos! Realistic traditional jigsaw pieces. Ability to customize jigsaws, colour schemes and sounds. Outstanding features include a screensaver which searches for images and plays them as jigsaws a capture mode to grab any image on your screen to make into a jigsaw. Great fun while surfing! Play the classic MahJongg solitaire tile matching game, MahJongg puzzle games and original MahJongg solitaire tile games found nowhere else. 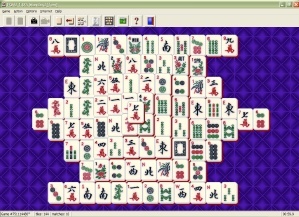 Play 345 different tile matching layouts or 55 MahJongg solitaire and puzzle games, including MahJongg Spider, MahJongg FreeCell, and MahJongg Klondike, Four Rivers, Great Wall, and MahJongg Stones. A total of 400 games! You'll need keen visual skills to analyze the evidence and track down the suspects. Challenge your powers of perception with multiple puzzle types. Spot the differences in beautiful images from around the world. Match visual hints to identify the suspects. Assemble puzzle clues that lead to stolen treasure. More than 100 challenges. 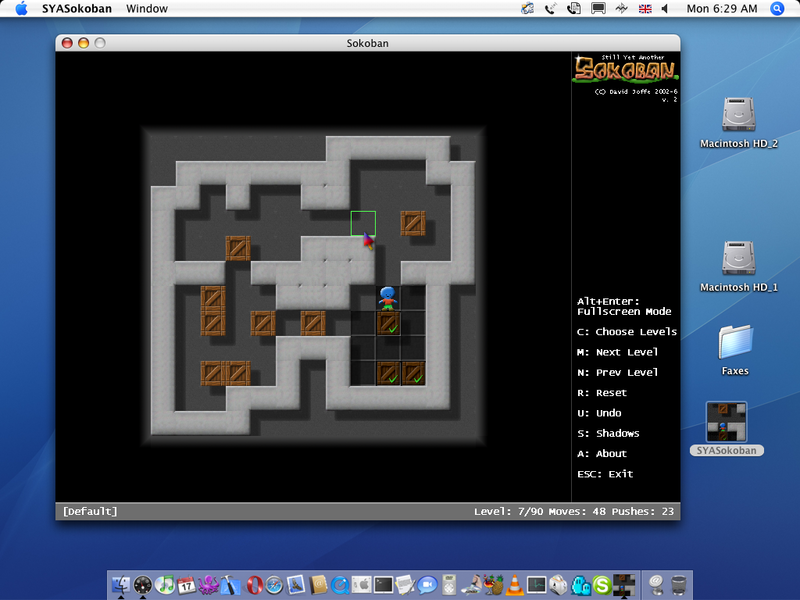 Still Yet Another Sokoban, an implementation of the popular Sokoban puzzle game. Features include unlimited undo, keyboard or mouse controls with automatic path finding, many included levels, and the ability to add new levels. Source code available, and runs on many platforms.